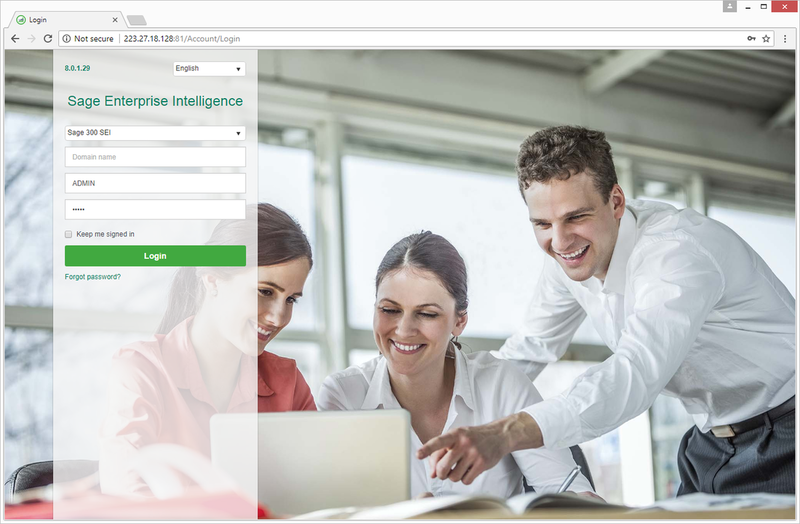 ​Sage Enterprise Intelligence provides users with a business intelligence solution that is intuitive and simple to use. Users benefit from accessing real-time information in a self-sufficient manner. The tight and secure integration of Sage Enterprise Intelligence with your Sage business management solution ensures data integrity and the reliability of critical business information. View all your data at your fingertips in real-time, on any device, anywhere in the world with SEI. ​With all that data, you need some help to get through it. Sage Enterprise Intelligence connects to your Sage ERP solution and provides you with consistent, up-to-date information. Easy-to-use diagnostic and analysis tools help focus your attention on important events affecting your business. ​Sage Enterprise Intelligence provides business users, managers, and executives with a simple tool to access and analyze enterprise data. It’s easy to set up KPIs and personalized dashboards so you can view data that’s most meaningful to your role in the organization. ​Simplify and accelerate the distribution of critical information across your organization. Automatically generate and distribute reports based on a predefined schedule or send snapshots of important business data in email attachments to others for review and analysis. ​Give users the power to analyse and create reports on their own—with no special expertise required. Leverage existing skills and work with the power of Excel to report. Sage Enterprise Intelligence is easy to use and offers an intuitive web interface and access through mobile devices. Take better business decisions with live data from your Sage database through reports or dashboards and set up notifications to get alerts from your outliers and exceptions to get more control over your organisation. Sage Enterprise Intelligence offers the granularity of information you need, use drill-down features to look deeper into transactions and find the source of the figures you are looking at. 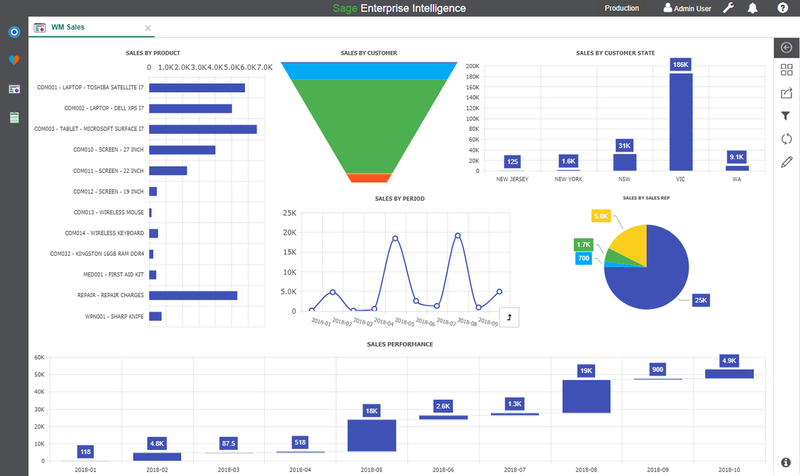 Sage Enterprise Intelligence is easy to use with an intuitive UI allowing users to build and modify the views to display the data in their preferred way. With a simple drag and drop report builder, users can build complex reports within seconds. Share your views and comments to your team members and set up access levels to ensure that the right person gets the right data in order to run the company in a more efficient way. With a HTML5 technology, your reports and dashboards can be accessed anytime, anywhere in the world, from any device using your preferred web browser. ​of mid-sized enterprises agree that too many decisions are based on inaccurate or incomplete data. of business decision makers at mid-sized companies don't always have information available when they need it. This results in late decisions based on inaccurate data.